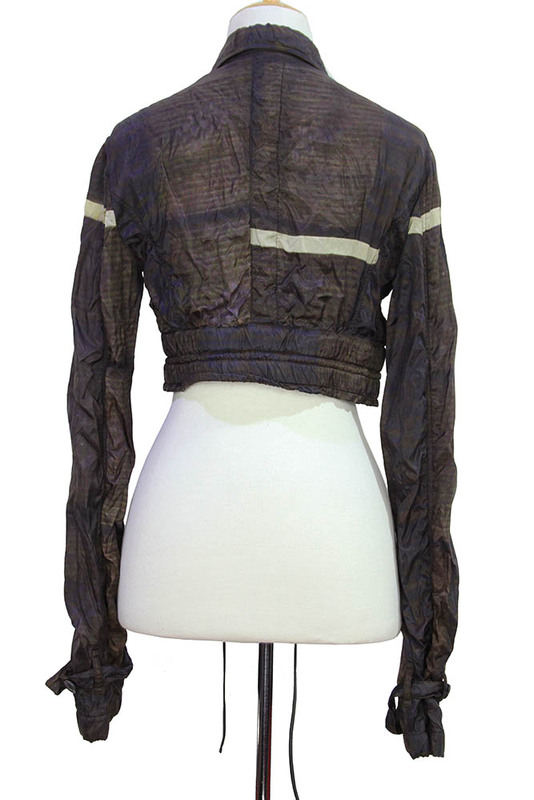 Rundholz Mainline Collection cropped, jacket in crinkle-finish print (design 040). Small collar with finished trim. 5 button fastening, with placket hiding half the buttons. 2 angled chest pockets with detail and off-centred flaps. Waistband with leather drawstring. Adjustable fabric tab on cuffs. Fully lined in cotton. Stunning, fitted Summer jacket.